Alexei Malakhov/Streeter DRACULA BEWARE: The vampire-fending plant was plentiful at the Toronto Garlic Festival. The eighth annual festival held at Artscape Wychwood Barns on Sept. 16 was a tremendous success, festival founder Peter McClusky said. Hits at the show seemed to be garlic beer and desserts made with garlic. Alexei Malakhov/StreeterTHE GARLIC CROWD: More than 4,000 people covered the Artscape Wychwood Barns grounds. One of the most popular features at the event was the Ukrainian Credit Union Speakers’ Corner with speakers presenting on issues ranging among diverse topics such as eliciting different flavours of garlic, garlic’s connection with vampires, and a workshop on how to knit a garlic bulb. McClusky said he started growing garlic 10 years ago and after two years years he decided to create the festival, which attracted 3,000 people in its first year. 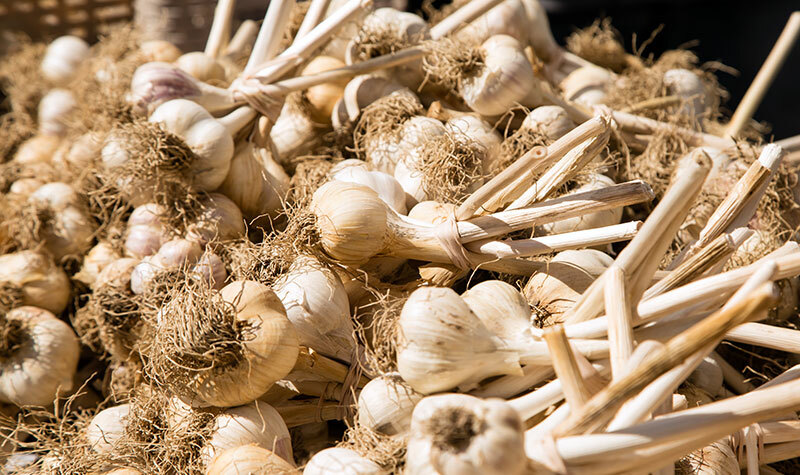 The size of the show is limited only by the size of its venue, he said, and he is working on increasing it again next year for the NInth Annual Toronto Garlic Festival. Alexei Malakhov/StreeterBIG MARKET: Garlic-infused products were brisk sellers at the Toronto Garlic Festival on Sept. 16.